WHEELS have been set in motion in Bayswater, with the community celebrating the opening of a bike boulevard this weekend. The Department of Transport-funded path will aim to create continual cycle access from the foreshore to Morley, connecting Bayswater and St Columba’s primary schools, Riverside Gardens and the shared path along the railway. Community group Baysie Rollers and Bayswater Primary School will host a celebration at the Leake Street section, to tie into Bike Week. Baysie Rollers member David Cook said the path would create a safe route to get to school. “It’s safe for kids and less confident riders; long term it will link up the foreshore and Morley,” he said. The event will include a treasure hunt along the bike boulevard, bike-powered blender milkshakes, BMX freestyle demonstrations, cycle maintenance and an obstacle course run by St Columbus Primary School. Cargo bikes, penny farthings, unicycles and electric bikes will be on display. 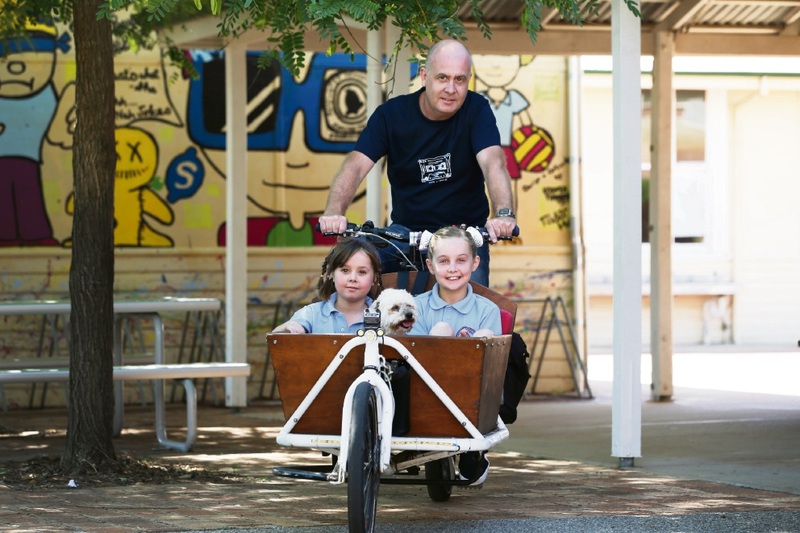 The Baysie Rollers and Bayswater Primary School Bike Week celebration will be held at the bike boulevard on Leake Street on Sunday, March 26, from 10am-2pm. Local Arts and Community Events will also host a Bike Week event on the day – an 8km Maylands Easy Retro Ride and Picnic that will start at Maylands train station and finish at Maylands foreshore. Maylands Peninsula and Historical Association will explain historic sites passed.